2. In a large bowl, combine beef, salt, garlic powder, oregano, red pepper. Divide into 4 patties. 3. Place sliced tomatoes on grill- cook until grill marks appear. 4. Remove and recoat with spray. Place burgers on grill. Sprinkle each burger with 1/4 of cheese about 2 minutes before finished cooking on second side. 5. 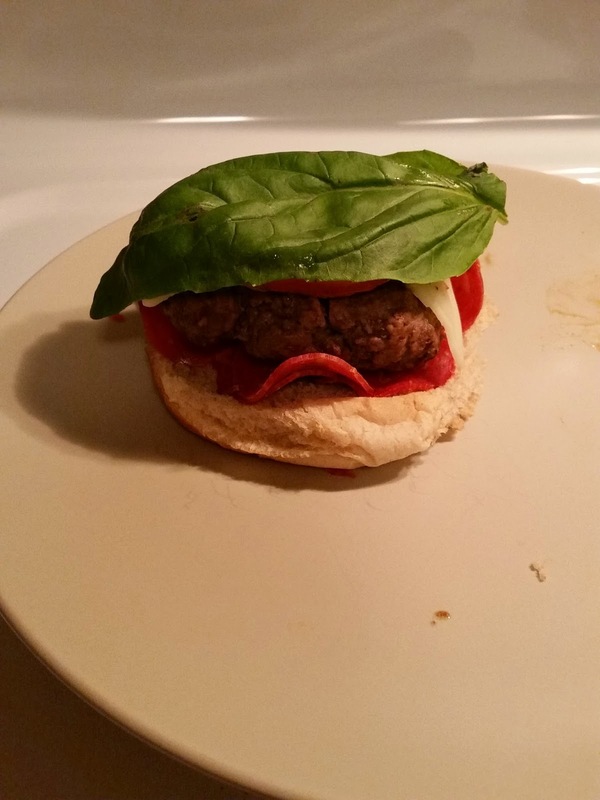 Serve each burger with 1 basil leaf and 1/4 oz. pepperoni. *I actually used a half slice of provolone instead of parmesan cheese. I wasn't sure where to find sliced parmesan, so I went with what I had. *This time around I actually used turkey pepperoni, which I LOVE. I usually go to the deli and just ask for 4 slices of pepperoni, but I had smaller turkey pepperoni so I just layered on bottom of bun. 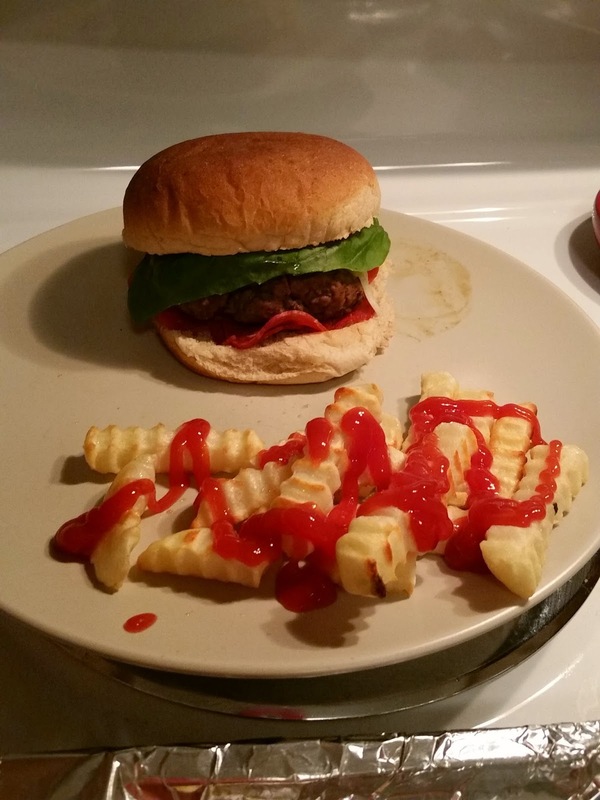 *Since I cooked in grill pan, I believe I cooked burgers for about 6-7 minutes on each side and then just cut to check it was cooked to my preference. Why hasn't it occurred to me to add pepperoni to a hamburger? This looks delicious! Why do I always open your Tasty Tuesday posts before I've even had breakfast? My stomach is saying "eat your monitor! It'll taste like a pizza burger I promise!" Stupid lying stomach. I need one of these in my life yum! Oh another awesome feature Jessica! Ooooh, adding pepperoni to a burger sounds like a great idea! Definitely a dinner idea to keep in mind!! YUMMMM!! I'm definitely going to make this sometime! 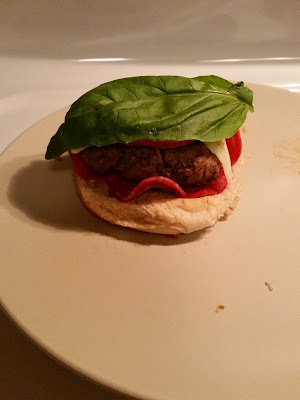 I've never thought about pepperoni on a burger before! i'm salivating. haha.